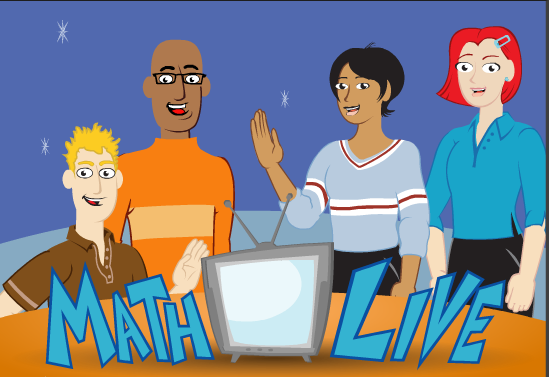 Math Live is an innovative site for teaching Math that I just found out about from Free Technology 4 Teachers. ML covers 4 basic concepts of Math such as: numbers, patterns and relations, shape and space, and statistics and probability. The way this works is a student watches an animated video (think BrainPop) and then completes a worksheet to determine if they learned that lesson. What makes Math Live so great is that a teacher can use it for Differentiated Instruction as students can go at their own place. Also, there are lots of resources that can be printed out as a PDF such as parents or teacher notes, and a assessment/rubric, not to mention a handy online glossary for students. I highly recommend checking out Math Live by clicking here!! !